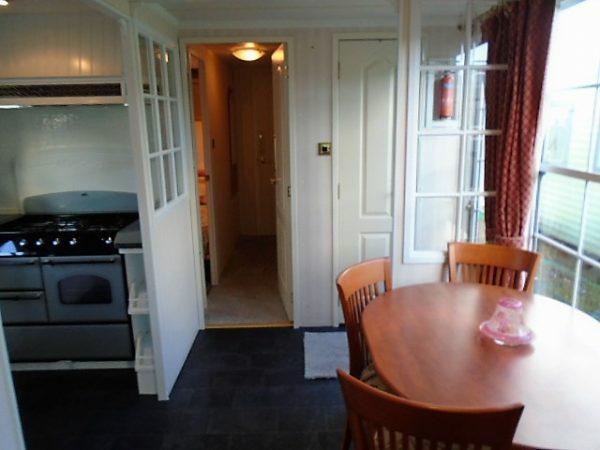 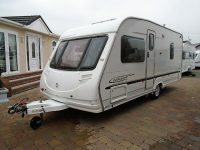 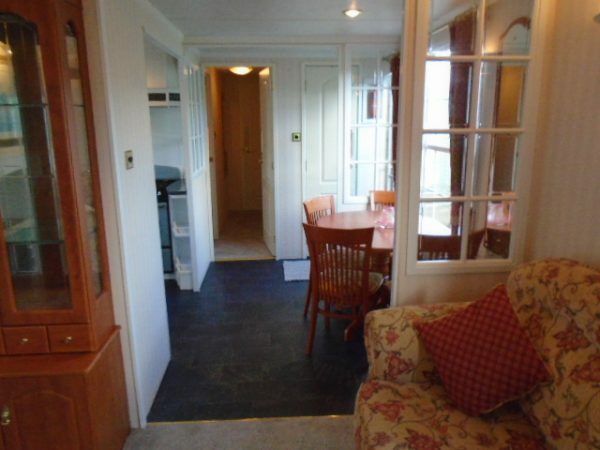 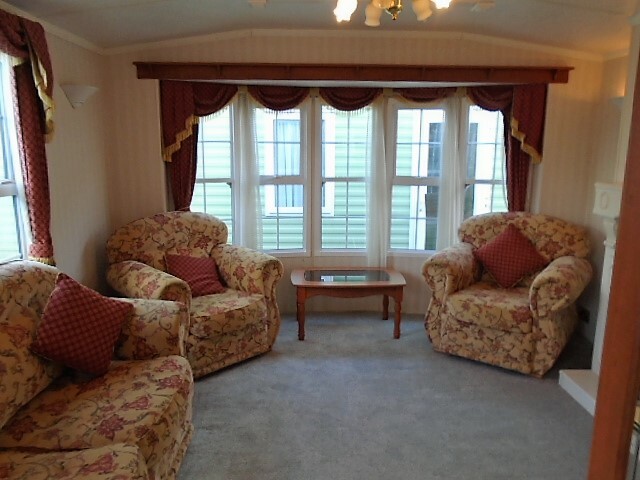 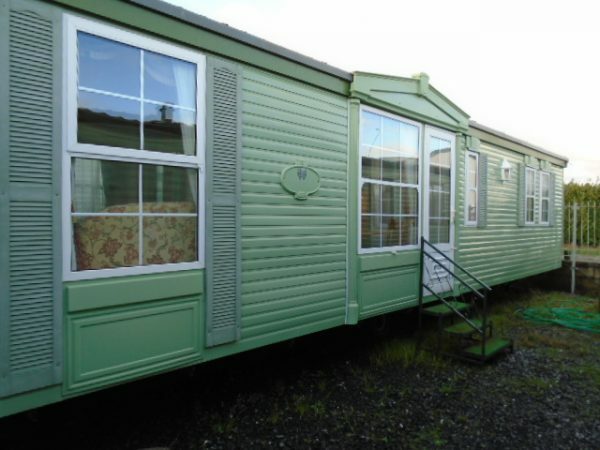 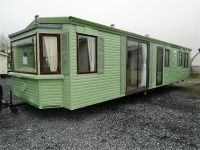 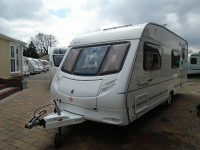 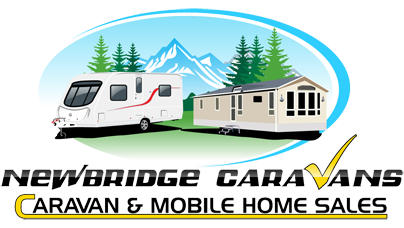 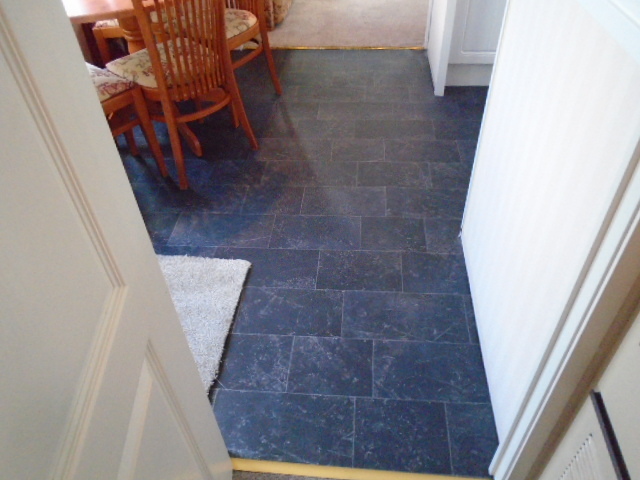 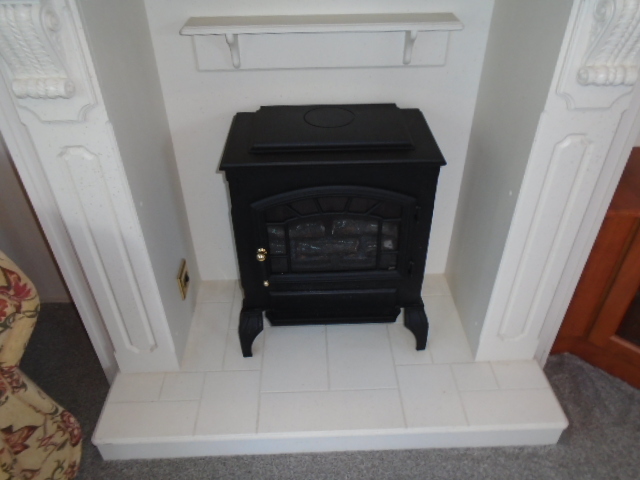 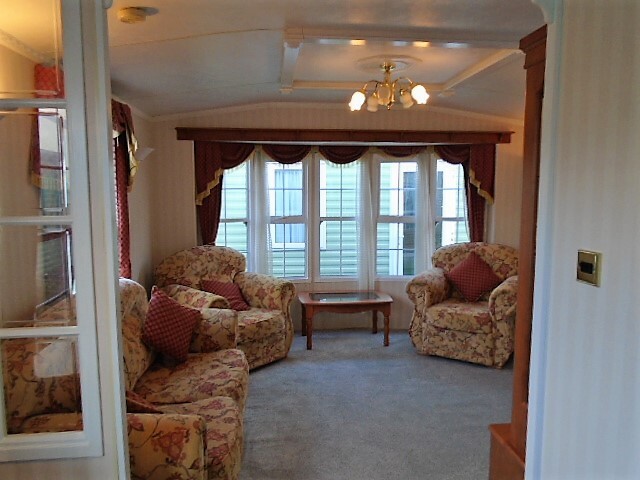 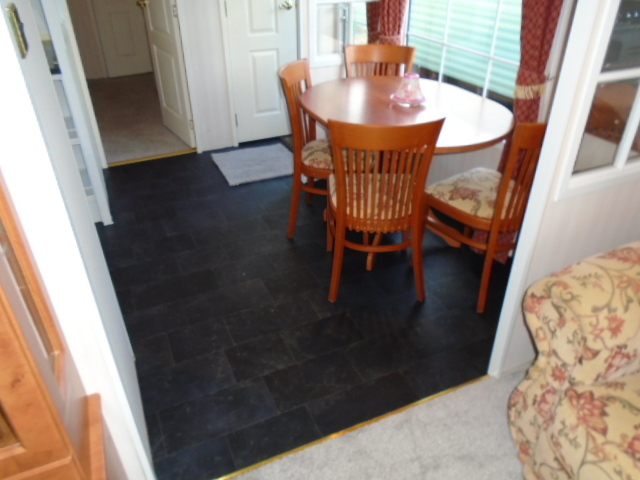 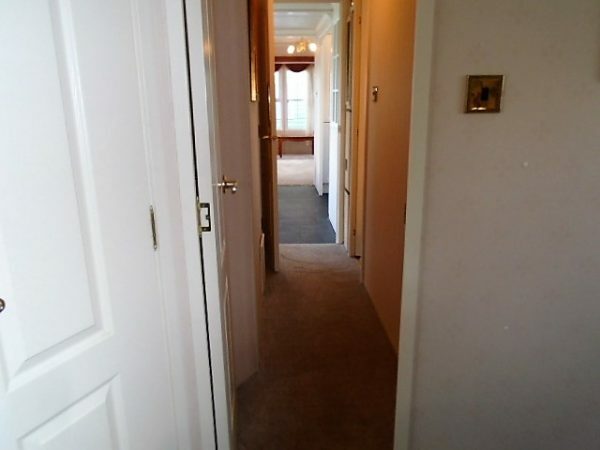 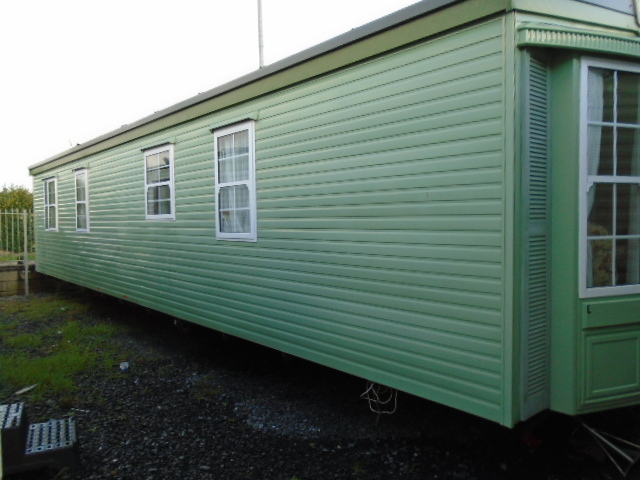 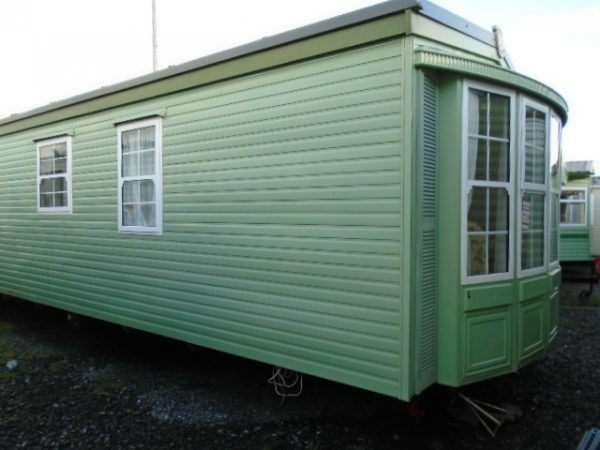 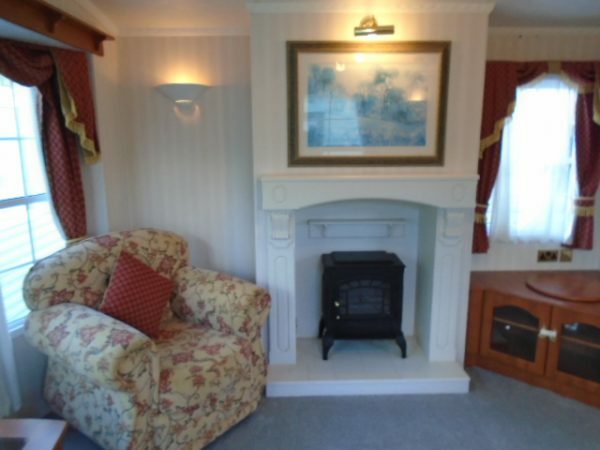 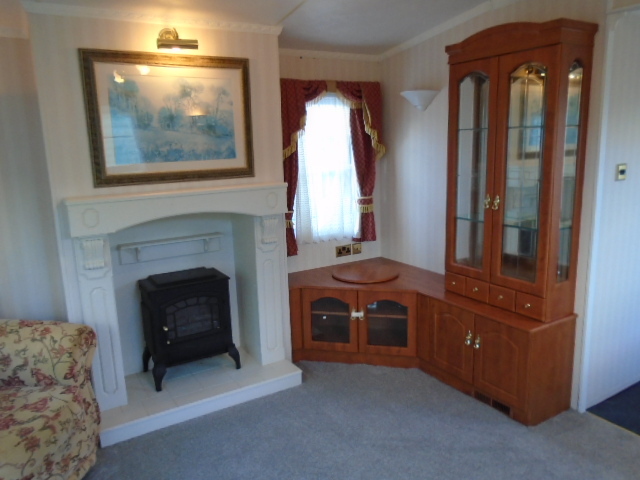 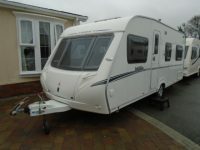 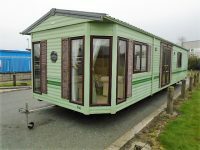 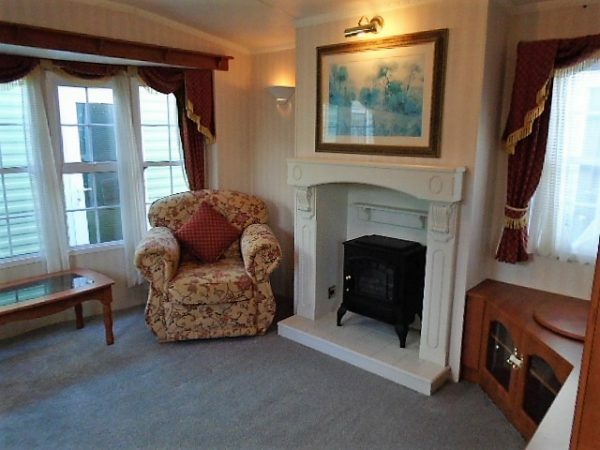 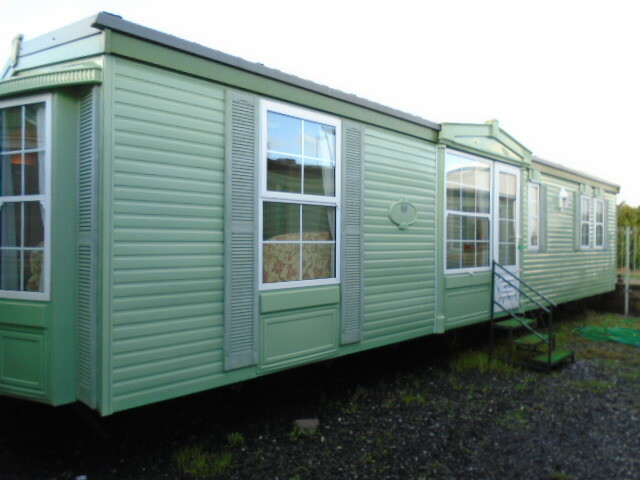 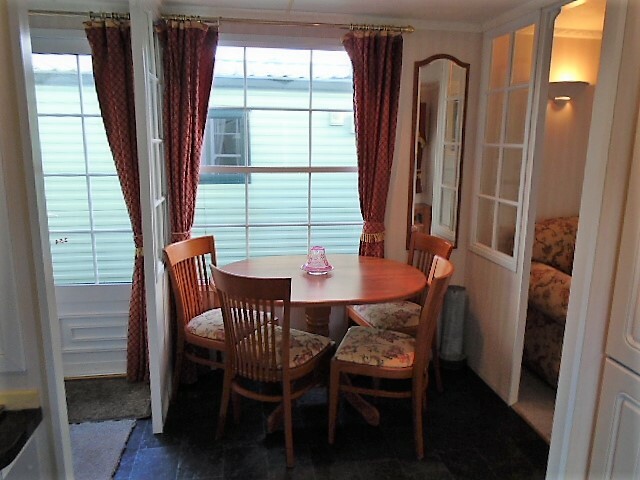 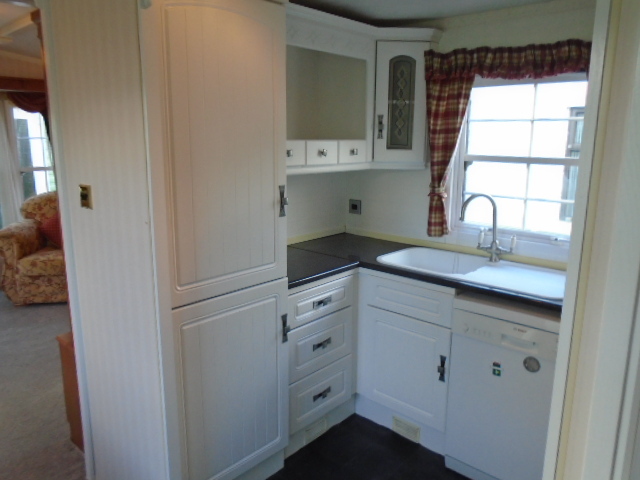 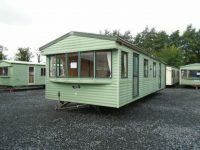 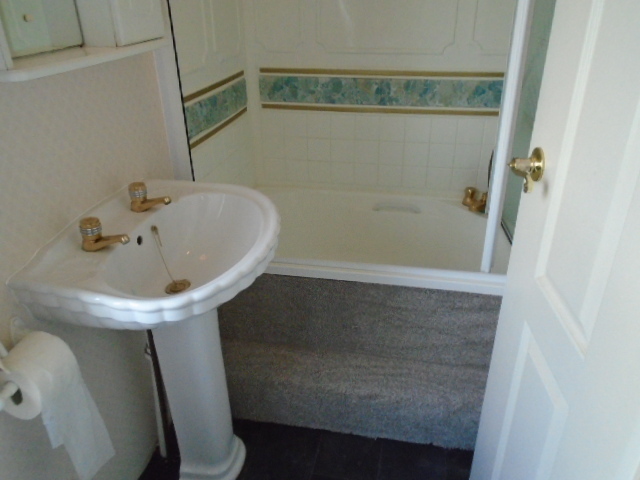 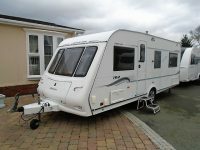 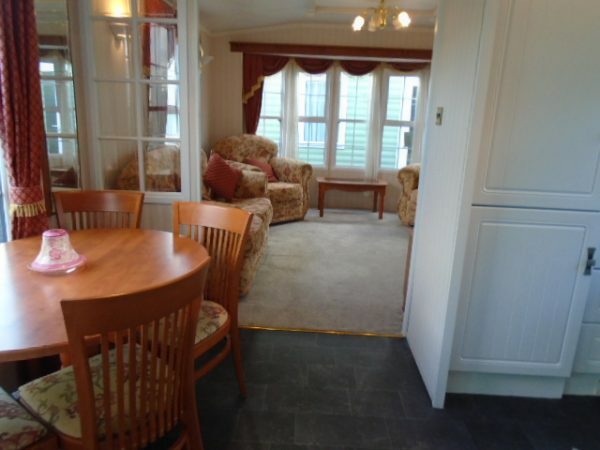 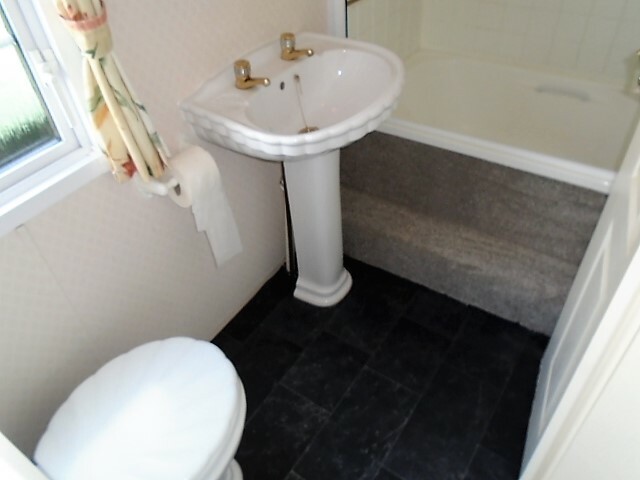 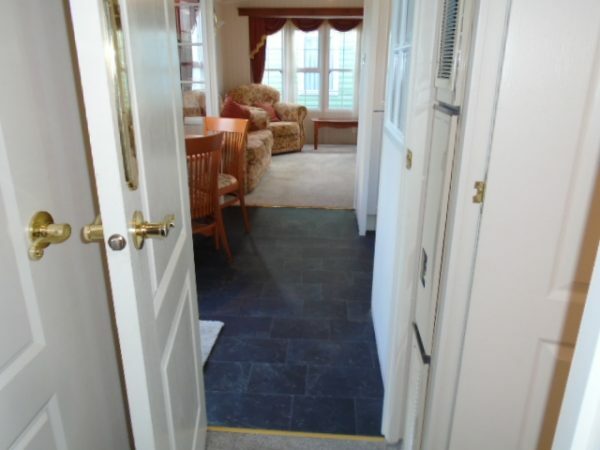 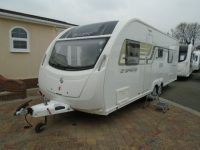 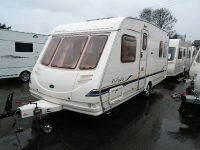 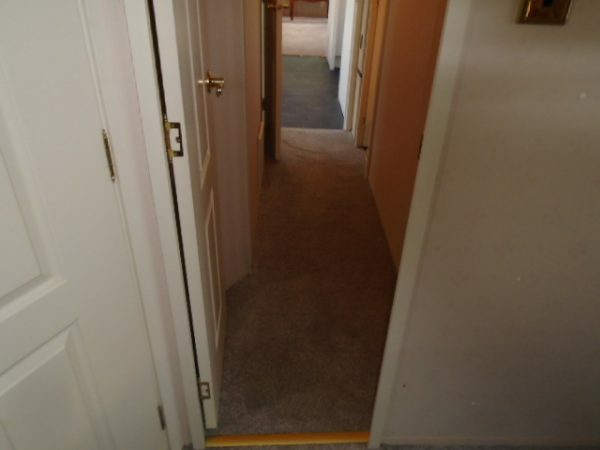 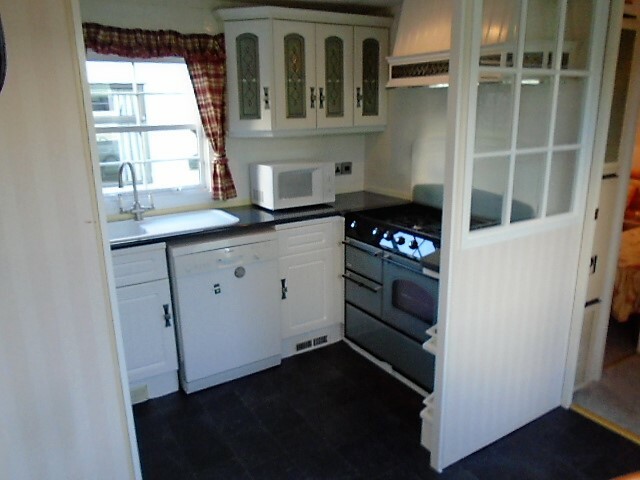 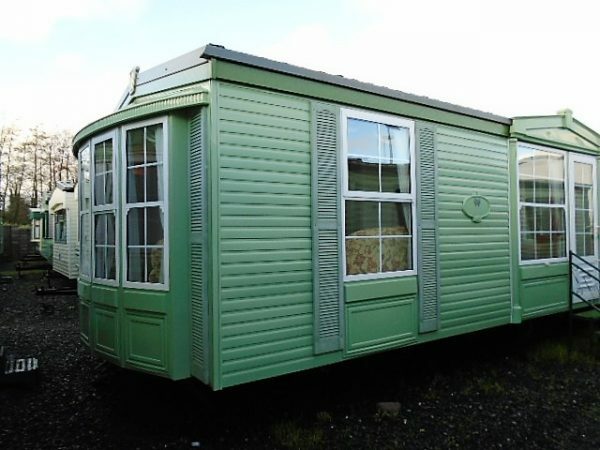 This static has a tiled roof, , gas central heating, double glazing, and vaulted ceilings. 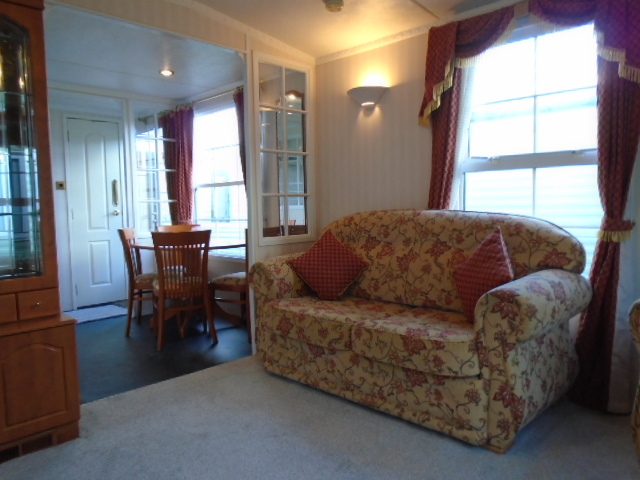 The lounge has loose lounge furniture; 2 seater sofa and 2 armchairs. 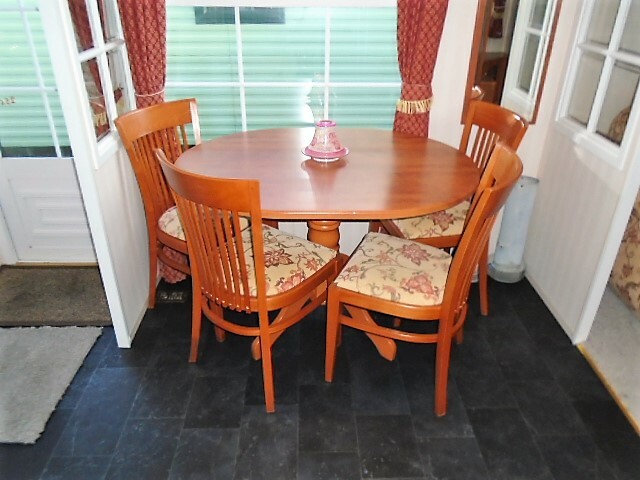 It has a freestanding dining table and 4 chairs. 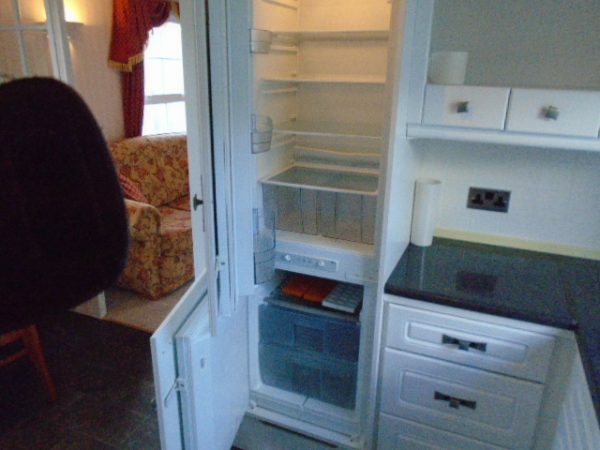 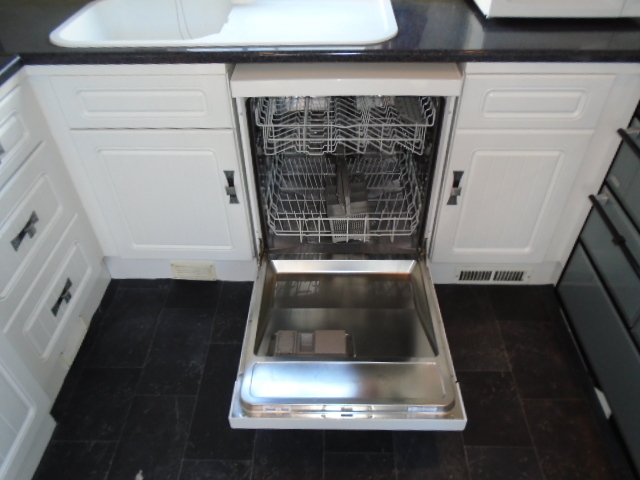 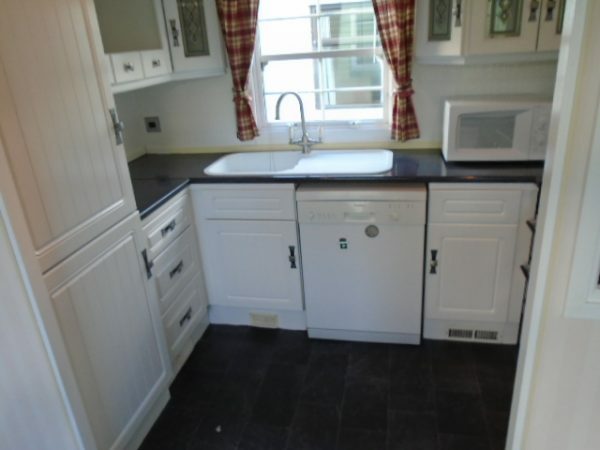 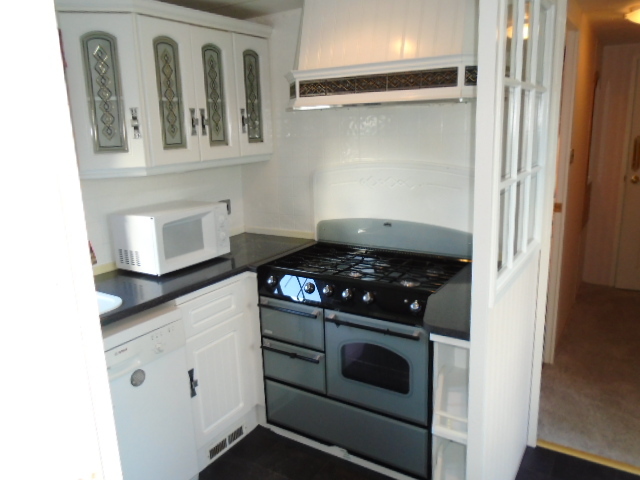 The kitchen has white units with a traditional look, a range cooker and integrated fridge freezer. 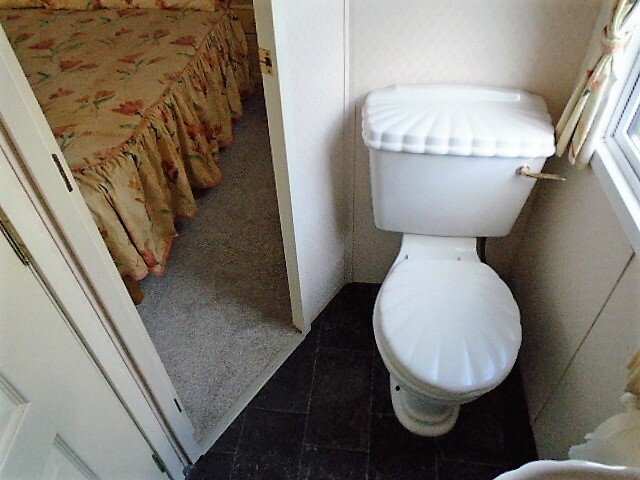 It has a separate porcelain WC and wash basin. 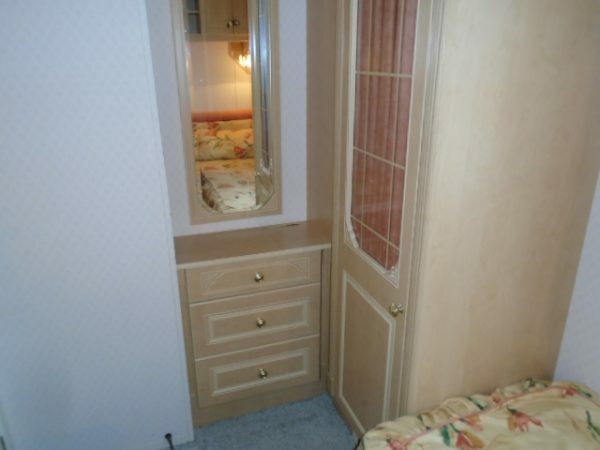 There is a twin bedroom with wardrobe, dresser and draws. 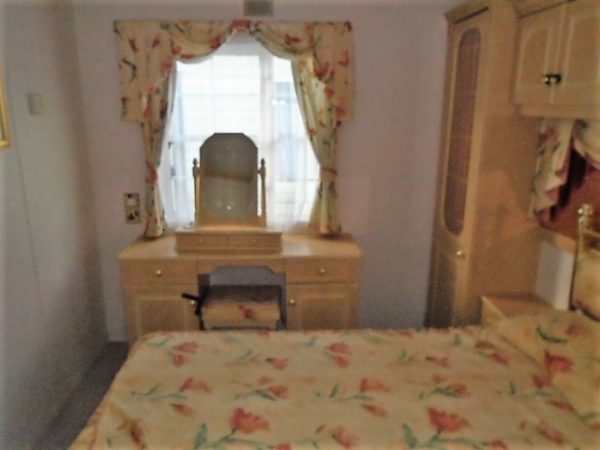 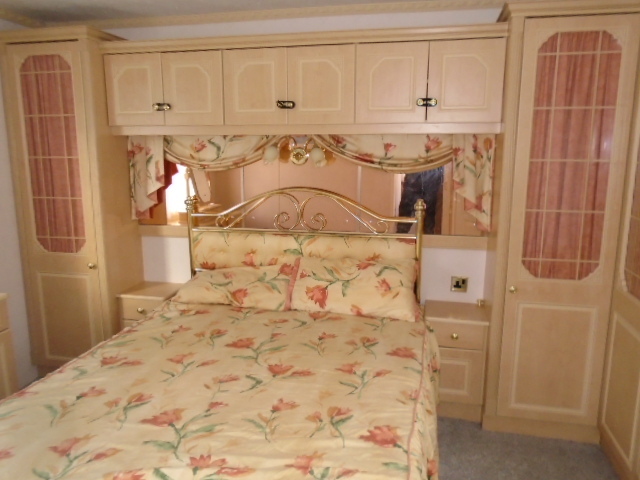 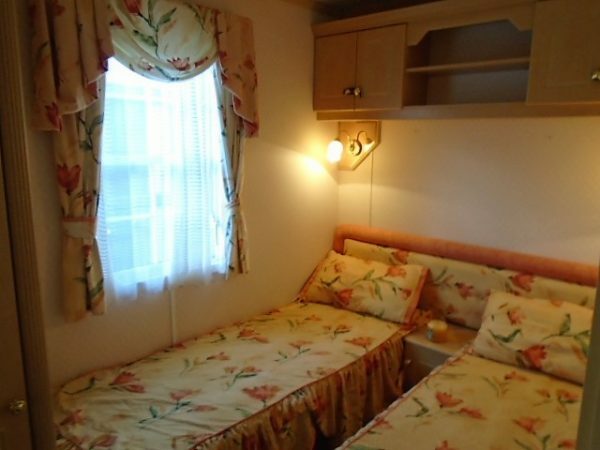 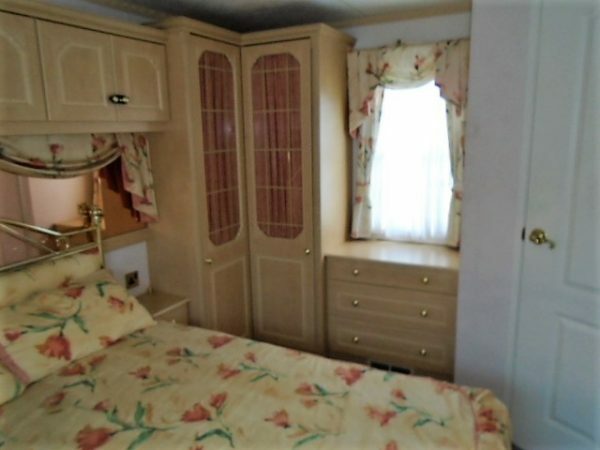 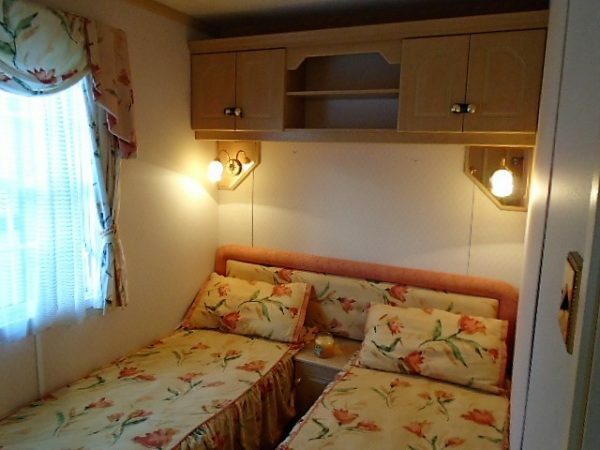 The double bedroom has a large set of wardrobes, draws and a dresser area. 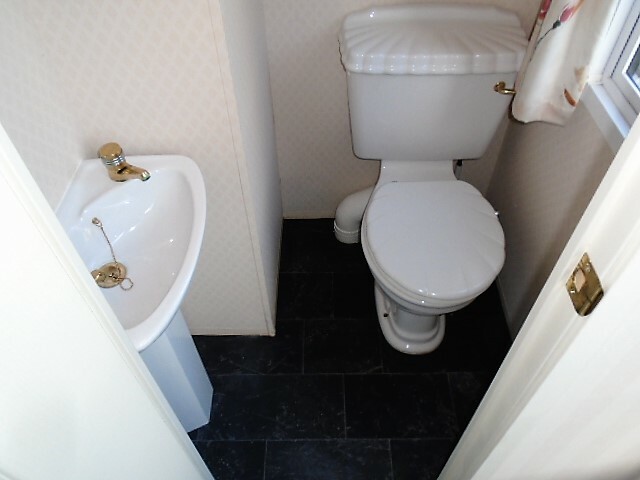 Connecting is an en suite bathroom with porcelain WC, wash basin and bath with folding glass door and overhead shower.